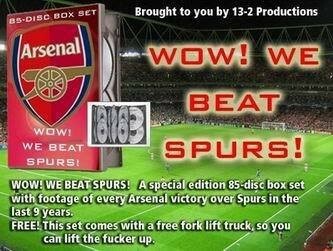 Arsenal 85-Disc DVD Box Set – Wow! We Beat Spurs! How droll (OK, it is quite amusing). I prefer the Spurs version, naturally.